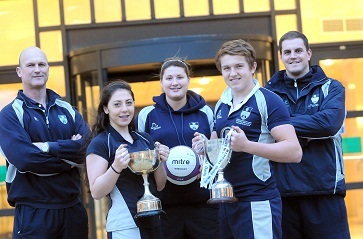 The Grammar School at Leeds (GSAL) has been named as the Independent Sports School of the Year by School Sport magazine. This is the culmination of a stunning year of sporting achievements. Team highlights were the U16 netball team becoming the England Netball National Schools Champions and the U15 rugby squad bringing home the much coveted RBS Daily Mail Cup. Individual highlights included Sixth Form student Hannah Starling diving for Team GB in the women’s 3m springboard at London 2012. She later made history by winning the first ever World Junior medal in the girls A springboard category for Great Britain with bronze at the World Junior Diving Championships in Adelaide, following up with a silver medal in the 3m synchro event. Fellow sixth former Gordon Benson represented Great Britain in the World Junior Triathlon in New Zealand. To crown the students’ success, Head of Netball Cath Johnson was named Netball Teacher of the Year at England Netball’s Goalden Globe Awards 2012, having been nominated by GSAL’s netball players. Many GSAL players in a wide range of sports are successful in attaining places in City of Leeds, county, north of England and national teams. GSAL forges links with outside sporting clubs and university sport departments in order to enrich the students’ experiences.